As the largest market in the world by the size of its population, the People’s Republic of China is an attractive place for business setup by foreigners. Starting a company in China is however complex and time-consuming, due to i) rapidly evolving and inconsistent regulations ii) the need to contact different administrations and agencies and iii) restrictions to foreign investment in several industries. Healy Consultants will however make it easier for our Clients to invest in China by advising them on the appropriate location and legal entity for their venture in China and then completing on their behalf all procedures required to establish their business. A Chinese WFOE can also be allowed to engage in wholesale and retail trade with Chinese customers, in which case such entity is sometimes also known as a “foreign invested commercial enterprise” (FICE), subject to minor differences during the registration procedures. A feasibility study must be submitted to the State Administration of Industry and Commerce (SAIC). This document includes a basic first year business plan and budget. The project will not be approved unless the local authorities are convinced it is a feasible business. Government approval of the project/business activities is an integral part of the incorporation process. If the project is not approved, incorporation is disallowed. Furthermore, after incorporation, all Chinese companies (foreign-invested or not) are required to report to the Tax Administration Department monthly, quarterly and annually. If needed, Healy Consultants assists our Clients minimize the burden constituted by reporting requirements, by taking care on their behalf of accounting and tax reporting obligations. 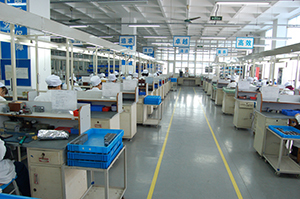 Best uses: A China free zone company is an optimal entity for an export-oriented manufacturing business. Best uses: the registration of a joint venture company usually corresponds to a Government requirement limiting foreign ownership in companies operating in a list of around 35 industries, notably including i) the automobile industry ii) legal consulting services and iii) tobacco products. Joint venture company setup may also be requested by some of our Clients, willing to benefit from the specialist local knowledge of their PRC partner. Best uses: the use of a branch office is to expand the geographical reach of their existing business entities in China. Investors may register a branch office to bid for local provincial projects. Best uses: A representative office can be used when our Client is not seeking to conduct any productive or commercial operations in China. Best uses: A Hong Kong company can be used as the international trading arm of a mainland Chinese business, as well as a holding vehicle facilitating investment in China and repatriation of earnings overseas.